38. *He, X., Y. Hong, H. Vergara, K. Zhang, J.J. Gourley, P.E. Kirstetter, Y. Zhang, G. Qiao, and C. Liu (2015). Shallow landslides prediction through assimilating satellite remote sensing and geospatial datasets into a coupled hydrological-geotechnical framework at regional scale, Journal of Hydrology, in review. 36. Huang, P., Z. Li, Q. Li, K. Zhang, and C. Yao; J. Chen (2014). Impacts of Human Activities on Flood Regime: a case study in the Haihe River Basin, China, Natural Hazards, submitted. 35. Moghim, S., S. McKnight, K. Zhang, R.C. Knox, R.L. Bras and P.R. Moorcroft (2014). A space-time unified data set of general circulation model outputs for land surface modeling over Amazonia, International Journal of Climatology, in revision. 34. Levine, N., K. Zhang, M. Longo, A. Baccini, O. Phillips, S.L. Lweis, E. Alvarez, T. Erwin, A. Mendo, P.N. Vargas, A. Prieto, J.E.S. Espejo, Y. Malhi, and P. Moorcroft (2014). The role of tree-level responses to moisture in determining the structure of Amazon forests and their fate under a changing climate, PNAS, in press. 33. Castanho, A., D. Galbraith, K. Zhang, M. Coe, M.H. Costa, and P. Moorcroft (2015). Changing Amazon biomass and the role of atmospheric CO2 concentration, climate and land use change, Global Biogeochemical Cycles, doi: 10.1002/2015GB005135. 32. Zhang, K., J.S. Kimball, R.R. Nemani, S.W. Running, Y. Hong, J.J. Gourley, and Z. Yu (2015). Vegetation Greening and Climate Change Promote Multidecadal Rises of Global Land Evapotranspiration, Scientific Reports,5, 15956; doi: 10.1038/srep15956..
31. *Wan, Z., #K. Zhang, X. Xue, Z. Hong, Y. Hong, and J.J. Gourley (2015). Retrieval of Actual Evapotranspiration from Ground and Satellite Observations Over the Conterminous United States, Water Resources Research, 51, 6485–6499, doi:10.1002/2015WR017311. 30. Zhang, K., A. Castanho, D. Galbraith, S. Moghim, N. Levine, etc. (2015). The fate of Amazonian ecosystems over the coming century arising from changes in climate, land-use and CO2, Global Change Biology, 21, 2569-2587. 29. *Xue X., K. Zhang, Y. Hong, J.J. Gourley, W. Kellogg, R.A. McPherson, and Z. Wan (2014). Develop a multi-site cascading SCE-UA calibration approach to optimize the VIC model, Journal of Hydrologic Engineering, 10.1061/(ASCE)HE.1943-5584.0001282 , 05015019..
28. R.G. Knox, M. Longo, A.L.S. Swann, K. Zhang, N.M. Levine, P.R. Moorcroft, and R.L. Bras (2014). Hydrometeorological Effects of Historical Land-Conversion in an Ecosystem-Atmosphere Model of Northern South America, Hydrology and Earth System Sciences, 19, 241-273. 27. Yao, C., K. Zhang, Z. Yu, Z. Li and Q. Li (2014). Improving the flood prediction capability of the Xinanjiang model in ungauged nested catchments by coupling it with the geomorphologic instantaneous unit hydrograph, Journal of Hydrology, 517, 1035-1048. 26. Kim, Y., J.S. Kimball, K. Zhang, K. Didan, I. Velicogna, and K.C. McDonald (2013). Attribution of divergent northern vegetation growth responses to lengthening non-frozen seasons using satellite optical-NIR and microwave remote sensing, International Journal of Remote Sensing, 35(10), 3700-3721. 25. Schwalm, C. R., D.N. Huntinzger, A.M. Michalak, J.B. Fisher, J.S. Kimball, B. Mueller, K. Zhang and Y. Zhang (2013). Sensitivity of inferred climate model skill to choice of benchmarking datasets and evaluation decisions, Environmental Research Letters, 8, 024028, doi:10.1088. 24. Kim, Y., J.S. Kimball, K. Zhang and K.C. McDonald (2012). Satellite detection of increasing Northern Hemisphere non-frozen seasons from 1979 to 2008: Implications for regional vegetation growth, Remote Sensing of Environment, 121, 472-487. 23. Yao, C., Z. Li, Z. Yu and K. Zhang (2012). A priori parameter estimates for a distributed, grid-based Xinanjiang model using geographically based information, Journal of Hydrology, 468-469, 47-62. 22. Zhang, K.*, J.S. Kimball, Y. Kim and K.C. McDonald (2011). Changing freeze-thaw seasons in northern high latitudes and associated influences on evapotranspiration, Hydrological Processes, 25, 4142-4151, doi:10.1002/hyp.8350. 21. Jung, M., M. Reichstein, P. Ciais, S. Seneviratne, J. Sheffield, M. Goulden, G. Bonan, A. Cescatti, J. Chen, R. de Jeu, H. Dolman, W. Eugster, D. Gerten, D. Gianelle, N. Gobron, J. Heinke, J. Kimball, B. Law, L. Montagnani, Q. Mu, B. Mueller, K. Oleson, D. Papale, A. Richardson, O. Roupsard, S. Running, E. Tomelleri, N. Viovy, U. Weber, C. Williams, E. Wood, S. Zaehle, and K. Zhang (2010). Recent decline in the global land evapotranspiration trend due to limited moisture supply, Nature, 467, 951-954. 20. Zhang, K.*, J.S. Kimball, R.R. Nemani and S.W. Running (2010). A continuous satellite-derived global record of land surface evapotranspiration from 1983-2006, Water Resources Research, W09522,10.1029/2009WR008800. 19. Rawlins, M.A., M. Steele, M.M. Holland, J.C. Adam, J.E. Cherry, J.A. Francis, P.Y. Groisman, L.D. Hinzman, T.G. Huntington, D. L. Kane, J.S. Kimball, R. Kwok, R.B. Lammers, C.M. Lee, D.P. Letternmaier, K.C. McDonald, E. Podest, J. W. Pundsack, B. Rudels, M.C Serreze, A. Shiklomanov, Q. Skagseth, T.J. Troy, C.J. Vorosmarty, M. Wensnahan, E.F. Wood, R. Woodgate, D. Yang, K. Zhang and T. Zhang (2010), Analysis of the Arctic System for freshwater cycle intensification: Observations and expectations, Journal of Climate, 23, 5717-5737. 18. Jones, L.A., C.R. Ferguson, J.S. Kimball, K. Zhang (2010), S.T.K. Chan, K.C. McDonald, E.G. Njoku and E.F. Wood. Satellite microwave remote sensing of daily land surface air temperature minima and maxima from AMSR-E, IEEE Journal of Selected Topics in Applied Earth Observations and Remote Sensing, 3, 111-123. 17. Zhang, K.*, J.S. Kimball, Q. Mu, L.A. Jones, S.J. Goetz and S.W. Running (2009). Satellite based analysis of northern ET trends and associated changes in the regional water balance from 1983 to 2005, Journal of Hydrology, 379, 92-110. 16. Kimball, J.S., L.A. Jones, K. Zhang, F.A. Heinsch, K.C. McDonald and W.C. Oechel (2009). A satellite approach to estimate land-atmosphere CO2 exchange for boreal and Arctic biomes using MODIS and AMSR-E, IEEE Transactions on Geoscience and Remote Sensing, 47(2), 569-587. 15. Zhang, K.*, J.S. Kimball, E.H. Hogg, M. Zhao, W.C. Oechel, J.J. Cassano and S.W. Running (2008). Satellite-based model detection of recent climate-driven changes in northern high latitude vegetation productivity, Journal of Geophysical Research-Biogeosciences, 113, G03033, doi:10.1029/2007JG000621. 14. Li, Z.and K. Zhang (2008). Comparison of three GIS-based hydrological models, Journal of Hydrologic Engineering, 13(5), 364-370. 13. Zhang, K.*, J.S. Kimball, K.C. McDonald, J.J. Cassano and S.W. Running (2007). Impacts of large-scale oscillations on pan-Arctic terrestrial net primary production, Geophysical Research Letters, 34, L21403, doi:10.1029/2007GL031605. 12. Bunn, A.G., S.J. Goetz, J.S. Kimball and K. Zhang (2007). Northern high latitude ecosystems respond to recent climate change, EOS, Transactions, American Geophysical Union, 88 (34), 333-340. 11. Zhang, K.*, J.S. Kimball, M. Zhao, W.C. Oechel, J. Cassano and S.W. Running (2007). Sensitivity of pan-Arctic terrestrial net primary productivity simulations to daily surface meteorology from NCEP-NCAR and ERA-40 reanalyses, Journal of Geophysical Research-Biogeosciences, 112, G01011, doi: 10.1029/2006JG000249. 10. Li, Z., K. Zhang and C. Yao (2006). Comparison of distributed geological models based on GIS technology and DEM, Journal of Hydraulic Engineering,Chinese Hydraulic Engineering Society,37(8), 1022-1028. 9. Liu, J., Y. Zhao and K. Zhang (2006). MapX-based isoline mapping for hydrologic data, Advances in Science and Technology of Water Resources, 26(1), 70-72. 8. Zhang, K.*, Z. Li and H. Bao (2005). Comparison between GTOPMODEL and TOPMODEL, Journal of Hohai University (Natural Sciences), 33(5), 509-512. 7. Zhang, K.*, Y. Guo, Z. Li and J. Liu (2005). DEM-based watershed information extracting method and its application, Water Power, 31(2), 18-21. 6. Zhang, K.*, and Z. Li (2003), Real-time Flood Forecasting and Flood Regulation System, Journal of Hohai University (Natural Science), 31(Supplement),150-154. 5. Zhang, K., and Z. Yu (2015), Ecohydrological processes in river ecosystems, in Advances in Ecohydrology, edited by X. Yu, Science Press, China Science Publishing & Media Ltd, pp.70-90. 4. Yang Hong, Xiaogang He, Amy Cerato, Ke Zhang, Zhen Hong, Zonghu Liao (2014), Predictability of a Physically-based Model for Rainfall-induced Shallow Landslides: Model Development and Case Studies, in Technologies for Landslide Investigations, Springer Verlag Press, edited by M. Scaioni, Springer Verlag Press, pp.165-178. 3. Zhang, K.* (2010). Ecohydrological modelling, in Modern Technologies in Hydrological Modeling and Forecasting, edited by Z. Li et al., pp. 148-207, Hohai University Press, Nanjing, China (in Chinese). 2. Zhang, K.*, J.S. Kimball, L.A. Jones, Q. Mu, and S.W. Running (2009). Analysis of northern ET trends and associated regional water balance changes using satellite inputs and meteorology reanalysis from 1983 to 2005, Proceeding s of the 30th Canadian Symposium on Remote Sensing, Canadian Remote Sensing Society, 797-809. 1. Li, Z., C. Yao and K. Zhang (2008). Grid-based hydrological models, in Application and Research of Hydrological Modelling, edited by Z. Li, pp. 148-207, Hohai University Press, Nanjing, China (in Chinese). 29. Zhang, K., J.S. Kimball, Y. Kim and K.C. McDonald (2012). Influences of changing freeze-thaw seasons on evapotranspiration in northern high latitudes and associated uncertainty analysis. 2012 AGU Fall Meeting, San Francisco (Invited). 28. Zhang, K., A. Castanho, S. Moghim, et al. (2012). Exploring eco-hydrological consequences of the Amazonian ecosystems under climate and land-use changes in the 21st century. 2012 AGU Fall Meeting, San Francisco. 27. Kim, Y., J.S. Kimball, K. Zhang and K.C. McDonald (2012). The effect of winter frozen season changes on Northern Hemisphere vegetation canopy growth determined from satellite microwave and optical remote sensing. 2012 AGU Fall Meeting, San Francisco. 26. Castanho, A.D.A., K. Zhang, M.T. Coe, M. Costa and P. Moorcroft (2012). The impact of CO2 fertilization effect associated with land use change on the total biomass in Amazonian tropical forest in the last decades. 2012 AGU Fall Meeting, San Francisco. 25. Schwalm, C.R., D.N. Huntinzger, A.M. Michalak, J.B. Fisher, J.S. Kimball, B. Mueller, K. Zhang and Y. Zhang (2012). On the effects of evaluation decisions in model-data intercomparisons: An example using CMIP5 evapotranspiration. 2012 AGU Fall Meeting, San Francisco. 24. Zhang, K., A. Antonarakis and P. Moorcroft (2012). L4A NEE: model parameter optimization. AirMOSS Science Team Meeting, Pasadena, California. 23. Zhang, K., N.M. Levine, M. Longo and P.R. Moorcroft (2011). Recent and future impacts of climate and land-use changes on the Amazonian ecosystems inferred from an ecosystem model. 2011 AGU Fall Meeting, San Francisco. 22. Knox, R.G., M. Longo, K. Zhang, N.M. Levine and P.R. Moorcroft (2011). Regional eco-hydrologic sensitivity to projected Amazonia land use scenarios. 2011 AGU Fall Meeting, San Francisco. 21. Kim, Y., J.S. Kimball, K. Zhang and K.C. McDonald. Satellite detection of Northern Hemisphere no-frozen season changes and associated impacts to vegetation growing seasons. 2011 AGU Fall Meeting, San Francisco. 20. Moorcroft, P.R., D. Medvigy, M.C. Dietz, N.M. Levine, Y. Kim and K. Zhang (2011). The significance of plant canopy demography for predicting terrestrial ecosystem responses to climate change. 2011 AGU Fall Meeting, San Francisco. 19. Zhang, K., J.S. Kimball and S. Goetz (2010). Diagnosis and attribution of recent changes in vegetation productivity and the regional water balance for the pan-Arctic basin and Alaska. 2010 NASA Terrestrial Ecology Science Team Meeting, La Jolla, California. 18. Q. Mu, M. Zhao, K. Zhang and S.W. Running (2010). Applications of the newly improved global MOD16 evapotranspiration algorithm at Ameriflux tower site and global scale. 2010 NASA Terrestrial Ecology Science Team Meeting, La Jolla, California. 17. Zhang, K. and J.S. Kimball (2009). Satellite-based global long-term terrestrial evapotranspiration estimates and trend analysis. Eos Trans. AGU, 90(52), Fall Meet. Suppl., Abstract H21A-0820. 16. Zhang, K., J.S. Kimball, L.A. Jones, Q. Mu and S.W. Running (2009). Analysis of northern ET trends and associated regional water balance changes using satellite inputs and meteorology reanalysis from 1983 to 2005. 30th Canadian Symposium on Remote Sensing, Lethbridge, Alberta, Canada. 15. Jones, L.A., J.S. Kimball, K. Zhang and K.C. McDonald (2009). Developing future carbon algorithms for SMAP. 30th Canadian Symposium on Remote Sensing, Lethbridge, Alberta, Canada. 14. Zhang, K., J.S. Kimball, Q. Mu and S.W. Running (2009). Satellite-derived global long-term terrestrial evapotranspiration estimates. 4th Global Vegetation Workshop, Missoula, Montana. 13. Jones, L.A., J.S. Kimball, K. Zhang and K.C. McDonald (2009). Satellite based modeling of net CO2 exchange and uncertainty analysis using MODIS and AMSR-E: Developing future carbon algorithms for SMAP. 4th Global Vegetation Workshop, Missoula, Montana. 12. Kim, Y., J.S. Kimball, K.C. McDonald, K. Zhang and J. Lucotch (2009). Terrestrial freeze-thaw monitoring in the Northern Hemisphere using satellite active and passive microwave remote sensing. 4th Global Vegetation Workshop, Missoula, Montana. 11. Zhang, K., J.S. Kimball, E.H. Hogg, K.C. McDonald and W.C. Oechel (2009). Satellite based analysis of recent changes in ET and the terrestrial water balance over Canada and Alaska: Implications for vegetation productivity and the northern carbon cycle. 2nd NACP All-Investigators Meeting, San Diego, California. 10. McDonald, K.C., J.S. Kimball, K. Zhang, Y. Kim, D. Ganem and E. Podest (2009). Monitoring of landscape freeze-thaw in the terrestrial high latitudes with satellite microwave remote sensing: Relationships with growing season and land-atmosphere CO2 exchange. 2nd NACP All-Investigators Meeting, San Diego, California. 9. Zhang, K., J.S. Kimball, Q. Mu, L.A. Jones, S. J. Goetz and S.W. Running (2008). Satellite based analysis of northern ET trends and associated changes in regional water balance from 1983 to 2005. Eos Trans. AGU, 89(52), Fall Meet. Suppl., Abstract H43G-1096. 8. Jones, L.A., J.S. Kimball, K. Zhang, S.K. Chan, C. Ferguson and E.F. Wood (2008). Daily land surface air temperature and vapor pressure deficit derived from AMSR-E: Comparison with AIRS and Northern Hemisphere WMO stations. Eos Trans. AGU, 89(52), Fall Meet. Suppl., Abstract H41B-0865. 7. Zhang, K., J.S. Kimball, K.C. McDonald, J.J. Cassano and S.W. Running (2008). Teleconnection between large-scale oscillations and northern high-latitude terrestrial net primary production. 2008 Carbon Cycle and Ecosystems Joint Science Workshop, Adelphi, Maryland. 6. Zhang, K., J.S. Kimball, K.C. McDonald, J.J. Cassano and S.W. Running (2007). Impacts of large-scale oscillations on northern high-latitude terrestrial net primary production. Eos Trans. AGU, 88(52), Fall Meet. Suppl., Abstract U31C-0501. 5. Kimball, J.S., K. Zhang, T. Hogg, K.C. McDonald and W.C. Oechel (2007). Satellite Detection of Recent Drought-Induced Decline in Vegetation Productivity for the Pan-Arctic Basin and Alaska. NASA SMAP Science Workshop, Arlington, Virginia. 4. Zhang, K., J.S. Kimball, T. Hogg, M. Zhao, W.C. Oechel and S.W. Running (2006). Remotely Sensed Variations of Pan-Arctic Terrestrial Vegetation Productivity from 1982-2005. Eos Trans. AGU, 87(52), Fall Meet. Suppl., Abstract U33A-0007. 3. Zhang, K., J.S. Kimball, T. Hogg, M. Zhao, W.C. Oechel and S.W. Running (2006). Satellite observations of pan-Arctic terrestrial net primary productivity from 1982-2005. Joint Workshop on NASA Biodiversity, Terrestrial Ecology, and Related Applied Sciences, Adelphi, Maryland. 2. Zhang, K., J.S. Kimball, M. Zhao, W.C. Oechel and S.W. Running (2006). Analysis of Pan-Arctic Terrestrial Net Primary Productivity from 1982-2005 by Combining AVHRR and MODIS Products. Global Vegetation Workshop 2006, Missoula, Montana. 1. Kimball, J.S. and K. Zhang (2006). Multi-scale Assessment of Arctic Terrestrial-Atmosphere Carbon and Water Cycle Interactions. NSF ARCSS Workshop, Seattle, Washington. 9. Zhang, K. (2013). The fate of Amazonian ecosystems and eco-hydrological consequences under climate and land-use changes. Atmospheric Sciences Research Center Seminar, SUNY, Albany, New York. 8. Zhang, K. (2012). Exploring eco-hydrological consequences of Amazonian ecosystems under climate and land-use changes. Department of Civil & Environmental Engineering & Earth Sciences, University of Notre Dame, Notre Dame, Indiana. 7. Zhang, K. (2011). Development of a satellite-derived global land evapotranspiration record and analysis of changes in the global water cycle from 1983 to 2006. NOAA CREST Seminar, The City College of New York, New York City, New York. 6. Zhang, K. (2010). Integrating satellite remote sensing and modeling to study ecological and hydrological processes. Moorcroft Laboratory, Harvard University, Cambridge, Massachusetts. 5. Zhang, K. (2009). Satellite based analysis of recent changes in ET and the terrestrial water balance over the pan-Arctic region. Organismal Biology and Ecology Seminar, Division of Biological Sciences, The University of Montana, Missoula, Montana. 4. Zhang, K. (2008). Impacts of large-scale atmospheric oscillations on pan-arctic terrestrial net primary production. Organismal Biology and Ecology Seminar, Division of Biological Sciences, The University of Montana, Missoula, Montana. 3. Zhang, K. and J.S. Kimball (2007). Summer drought induced NPP decline for the Alaska North Slope. SNACS Team Meeting, San Francisco, California. 2. Zhang, K. (2007). Satellite detection of a recent decline in northern high latitude terrestrial vegetation productivity with regional warming and drying. Organismal Biology and Ecology Seminar, Division of Biological Sciences, The University of Montana, Missoula, Montana. January 2013, Instructor and trainer for 2013 Ecosystem Demography Model Workshop at Harvard University. January 2012, Instructor and trainer for 2012 Ecosystem Demography Model Workshop at Harvard University. March 2010, Guest lecture for Advanced Topics in Biogeochemistry instructed by Drs. Cory Cleveland and Steve Running at the University of Montana. 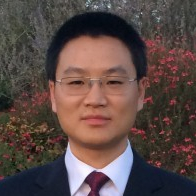 Science advisor of Zhanming Wan (PhD student), Hydrometeorology and Remote Sensing Laboratory, The University of Oklahoma, 2014-present. Science advisor of Jingwei Li (Volunteered Research Assistant, Master’s from Carnegie Mellon), Jun 2014-present. Science advisor of Sheng Lei (Master student), School of Civil Engineering and Environmental Science, Aug 2014-present. 2014 NSF, Real-Time Proactive Decision Support Analytics for Sustainable Managed Ecosystems using Heterogeneous Spatiotemporal Data (Co-PI), in review. 2007-2009 NASA Earth and Space Science Fellowship Program, Application of satellite optical and microwave remote sensing for assessing pan-Arctic terrestrial ecosystem responses to recent climate variability (Co-PI), $54,000.